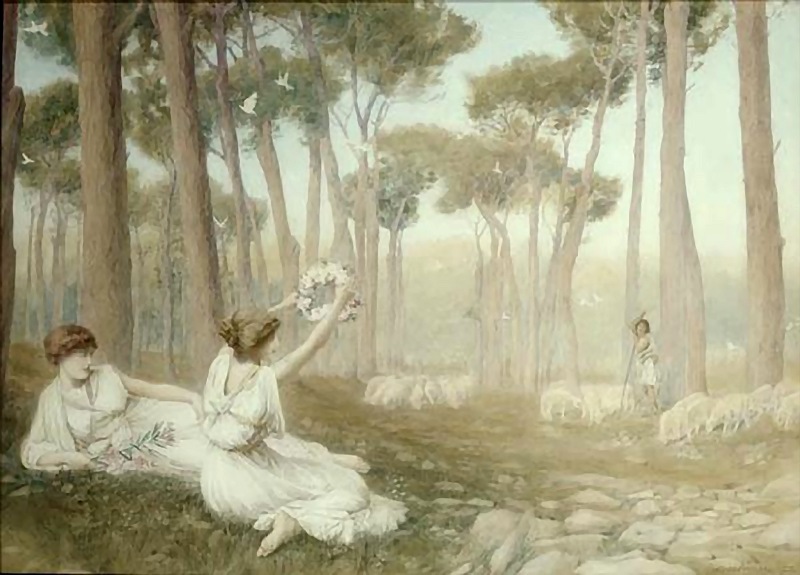 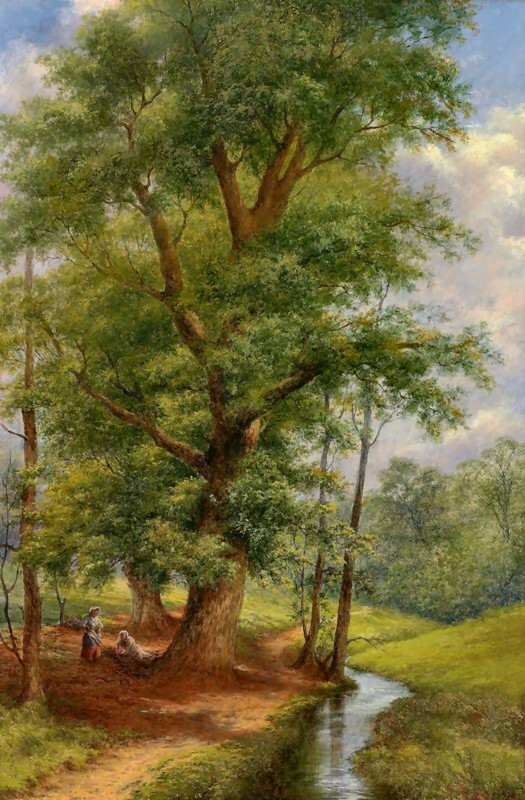 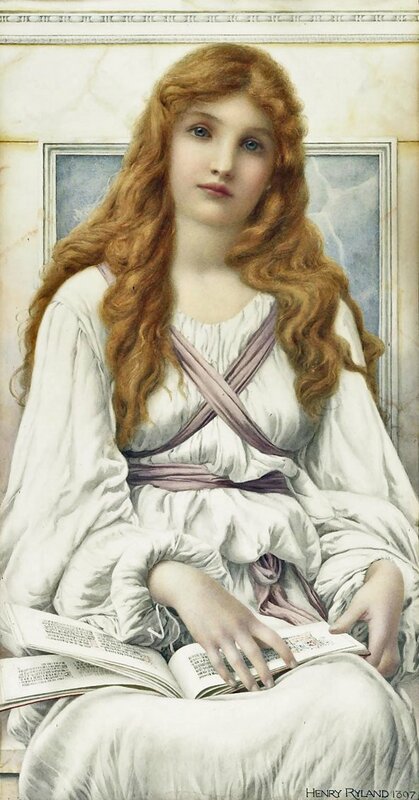 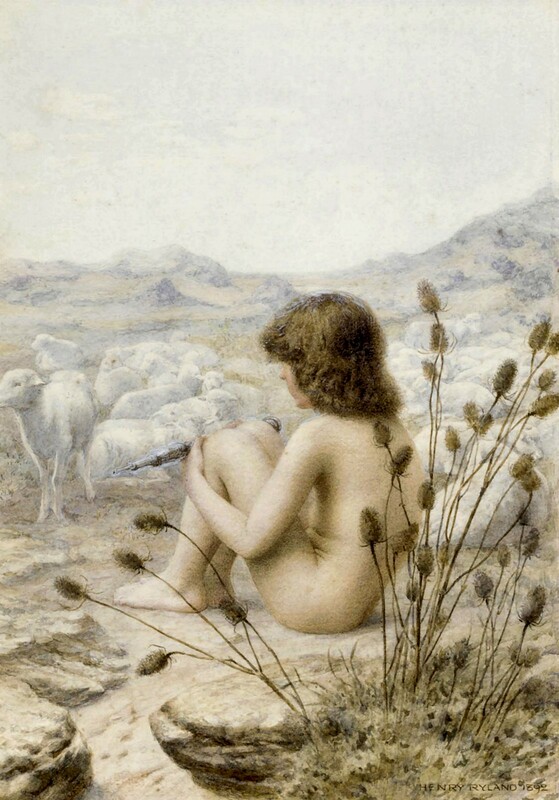 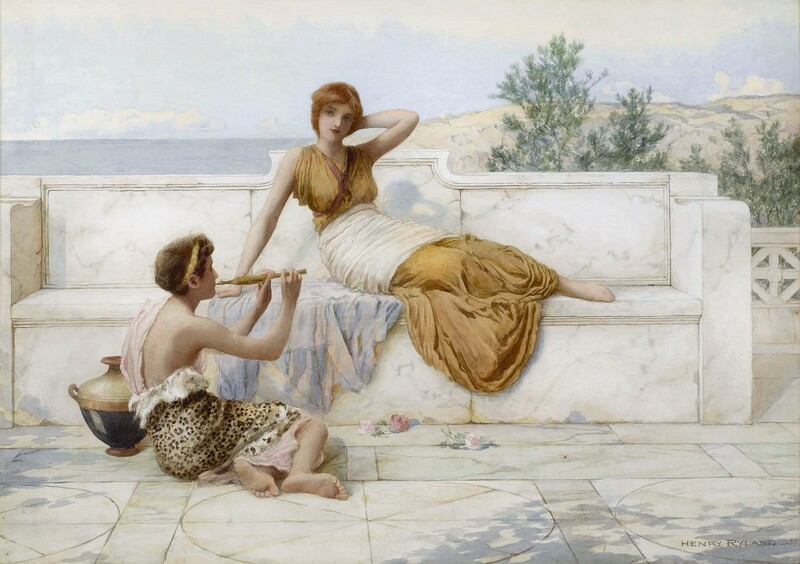 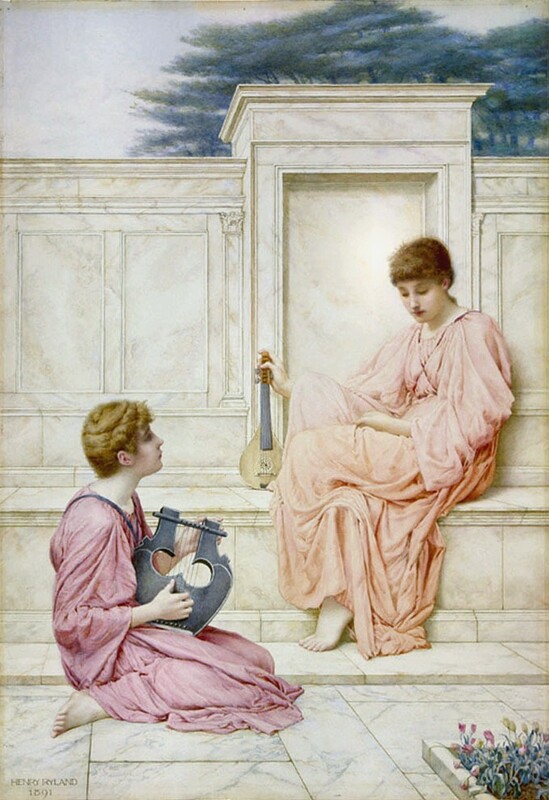 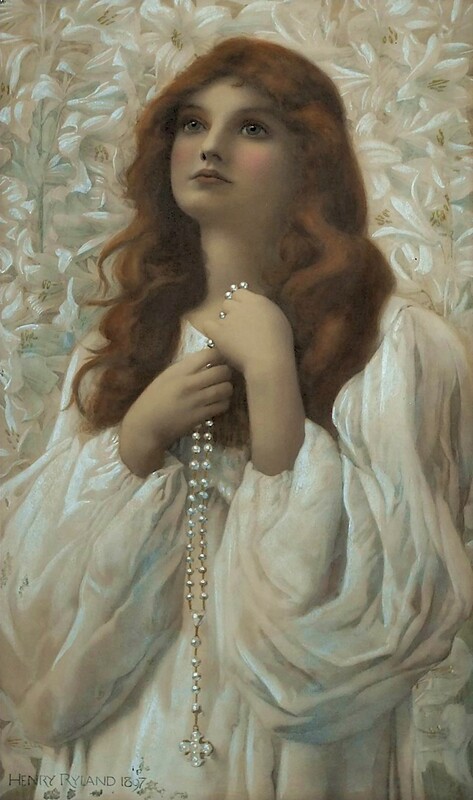 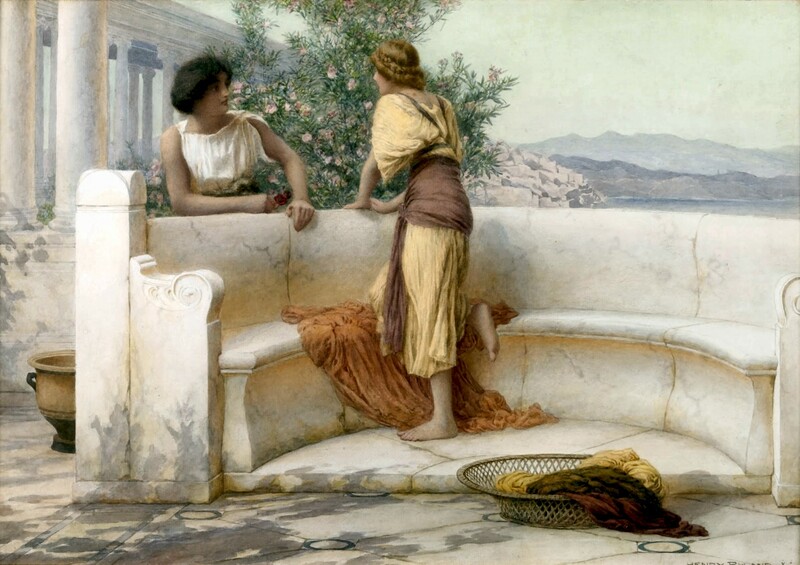 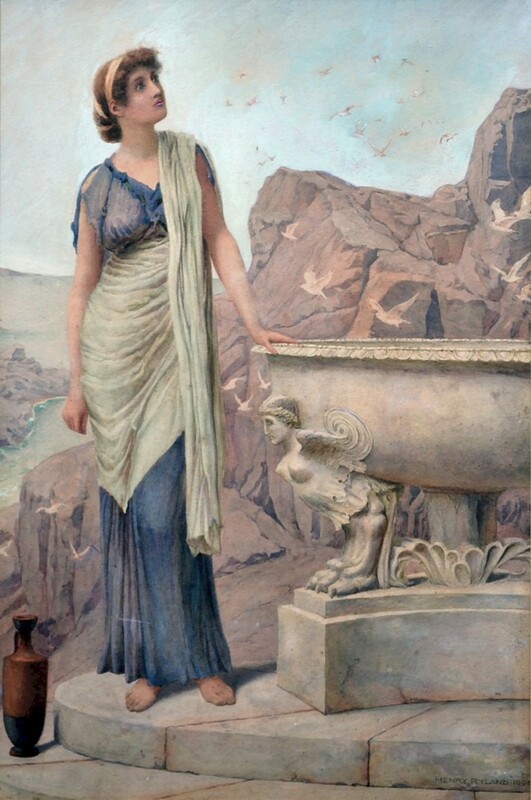 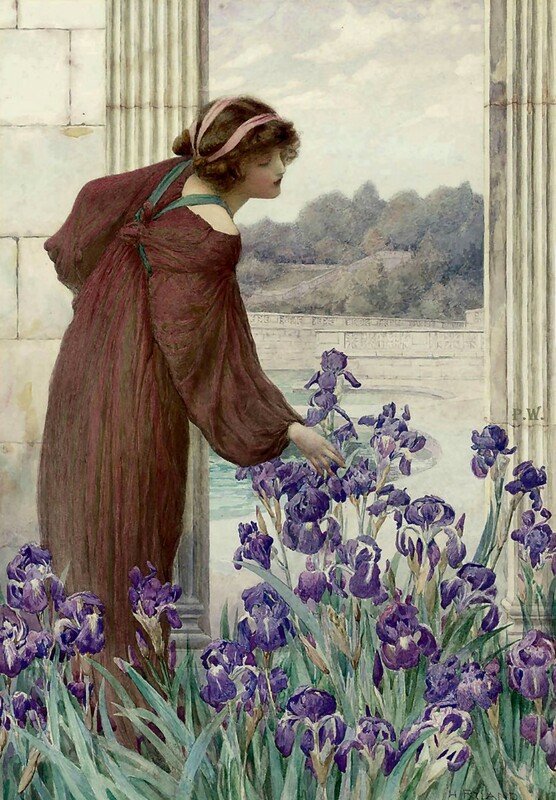 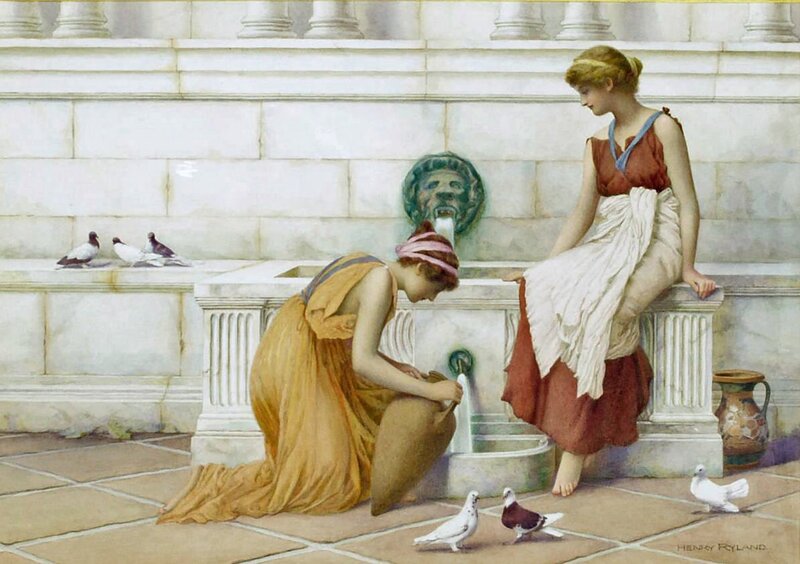 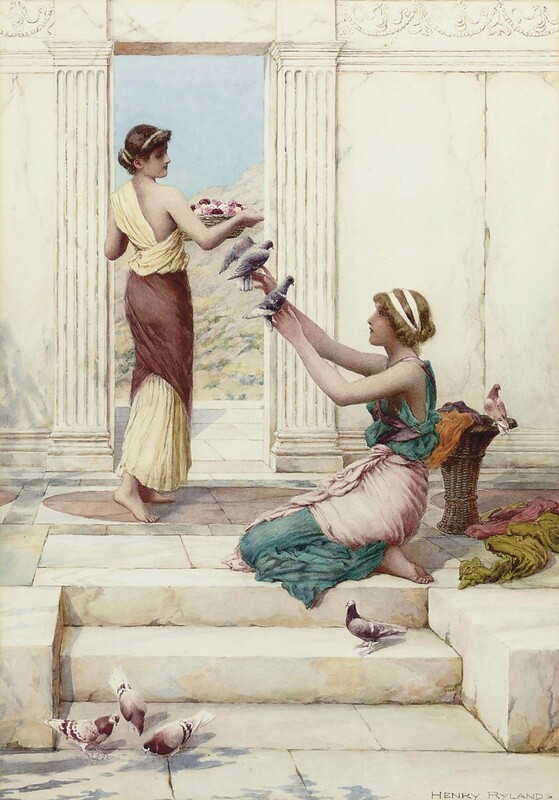 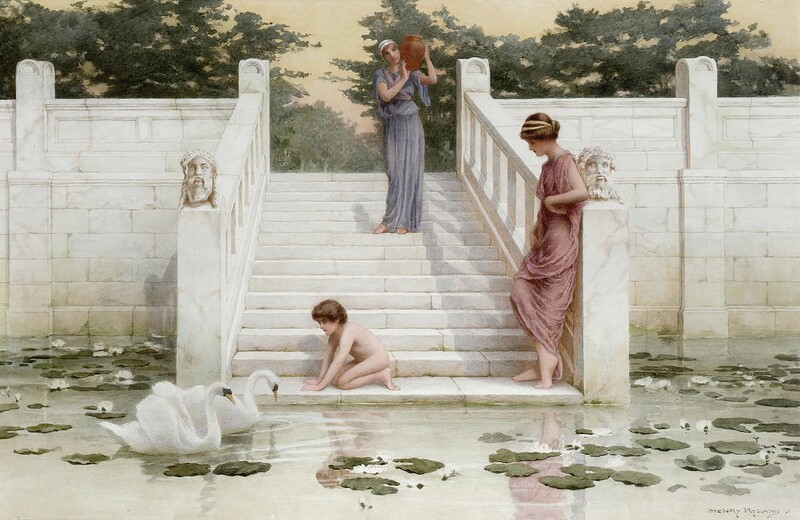 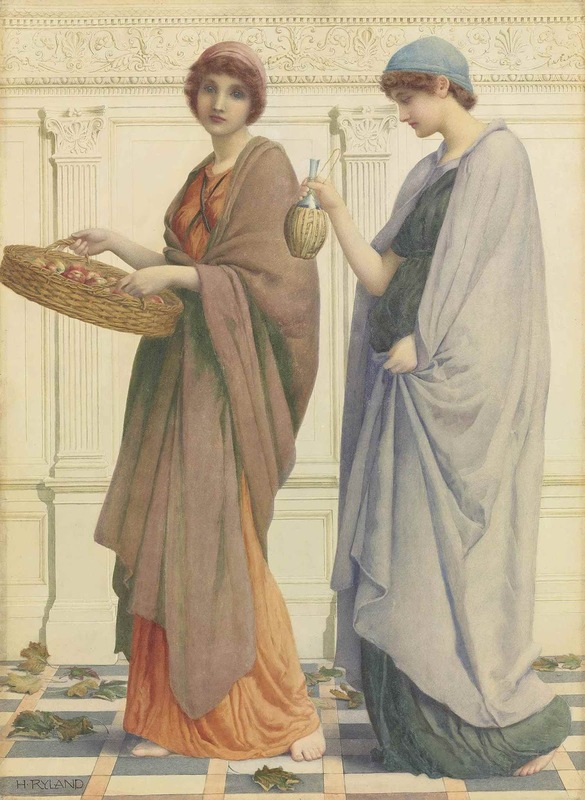 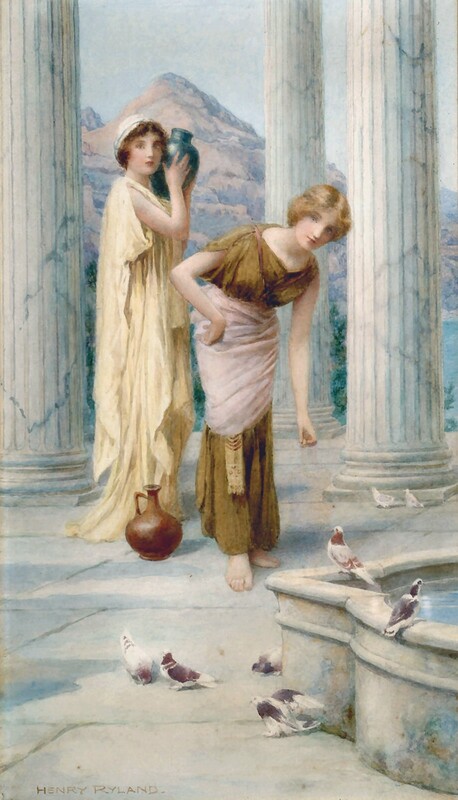 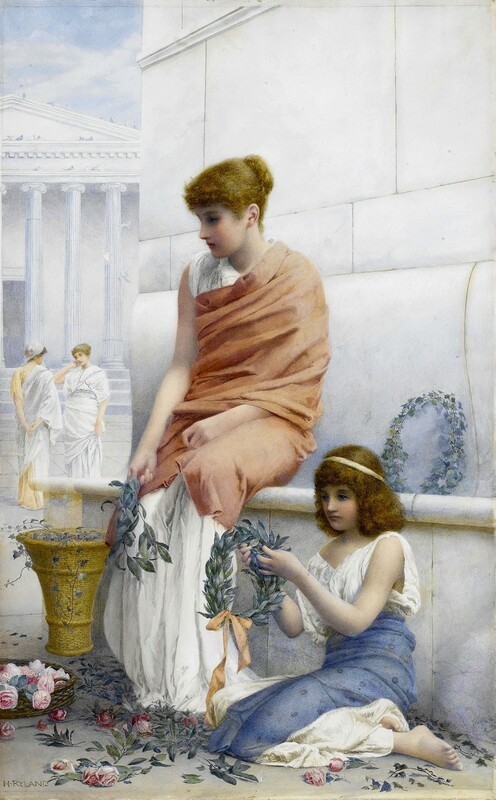 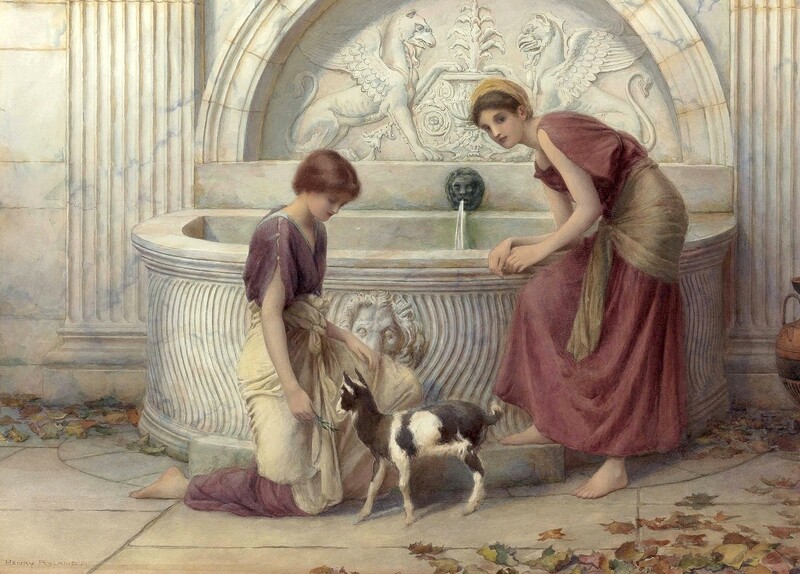 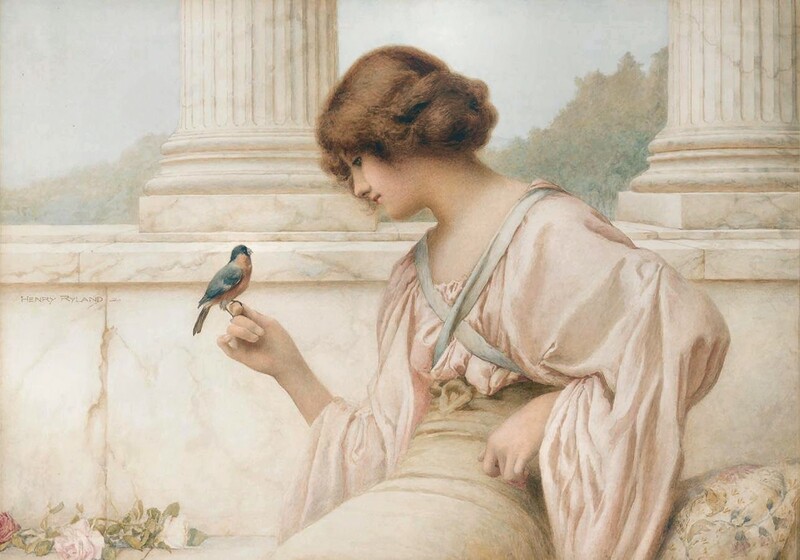 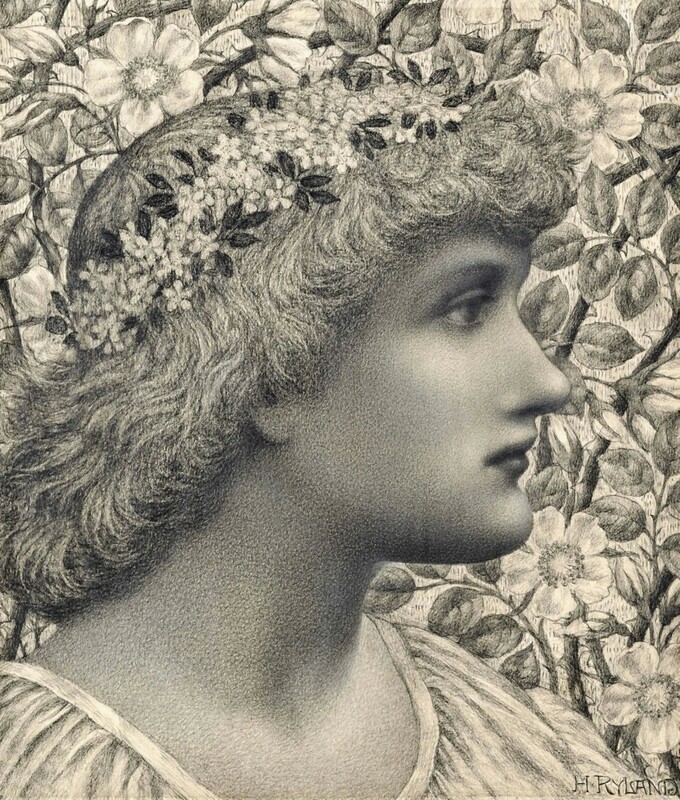 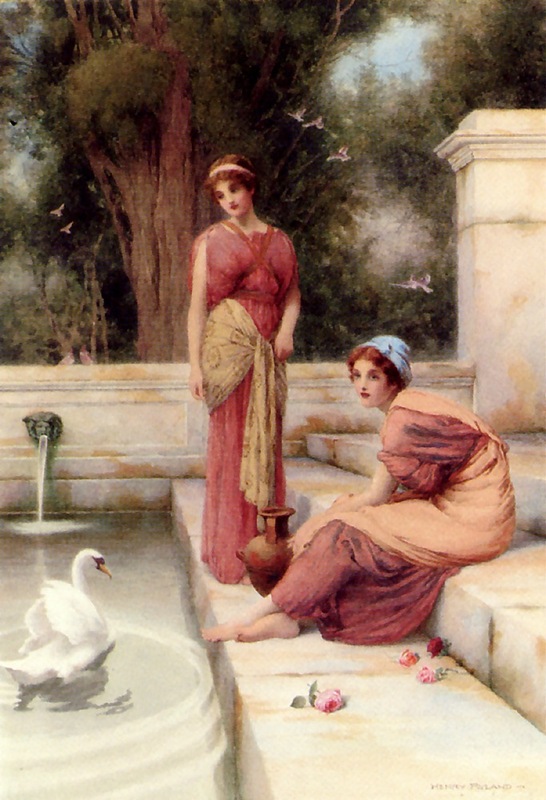 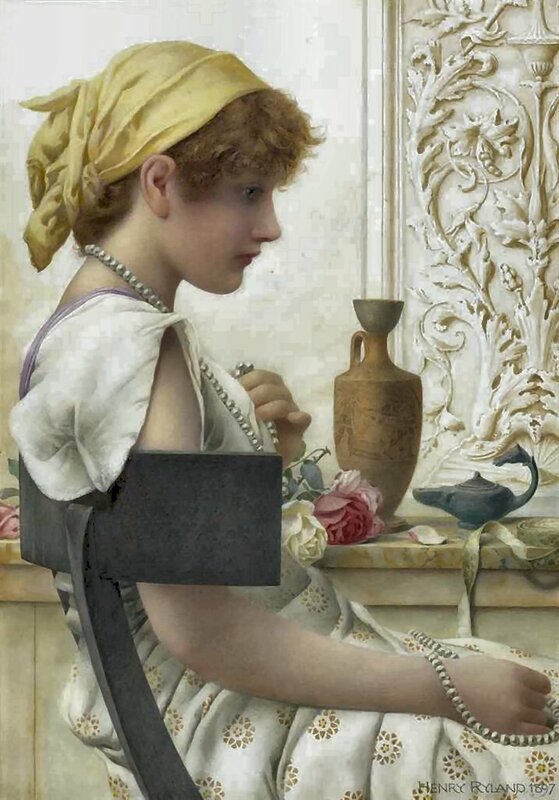 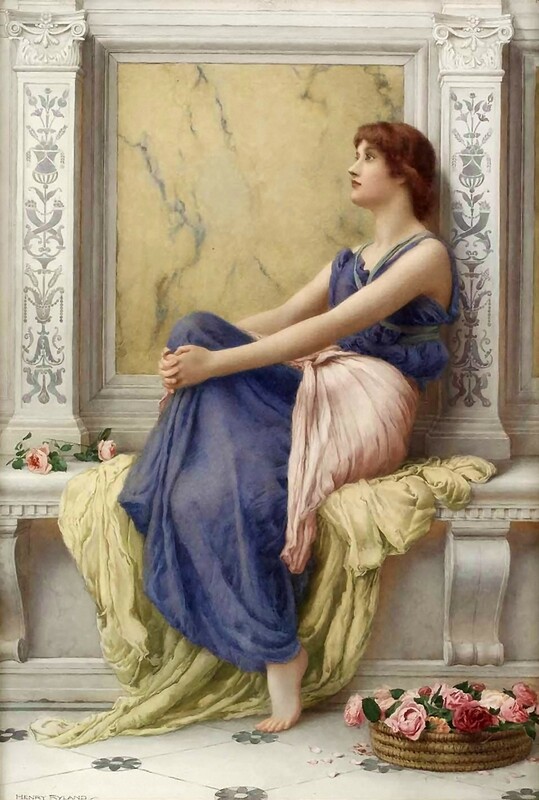 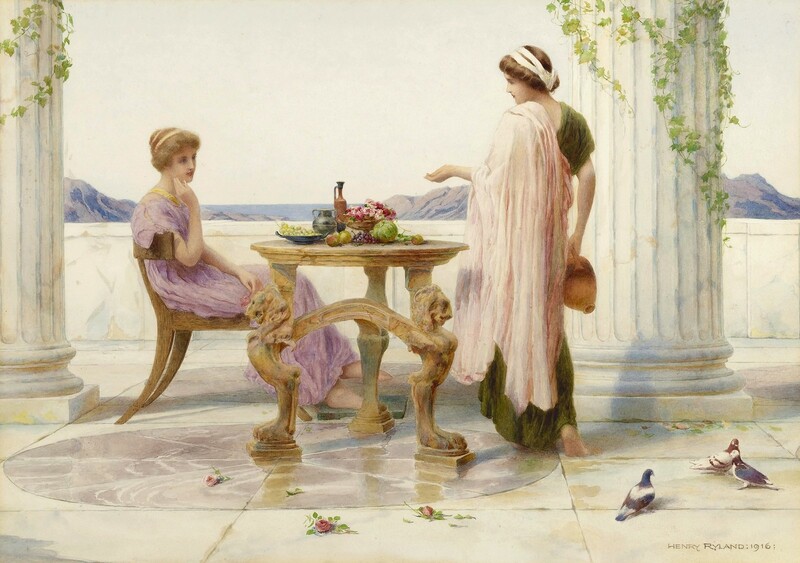 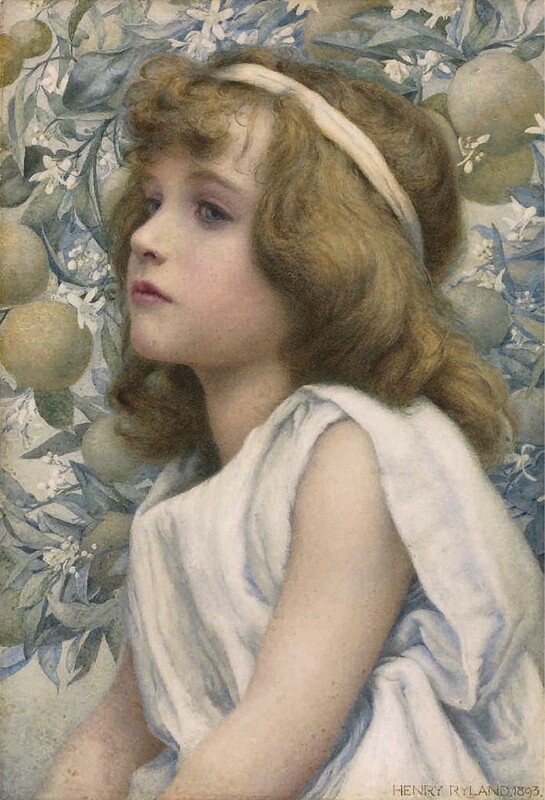 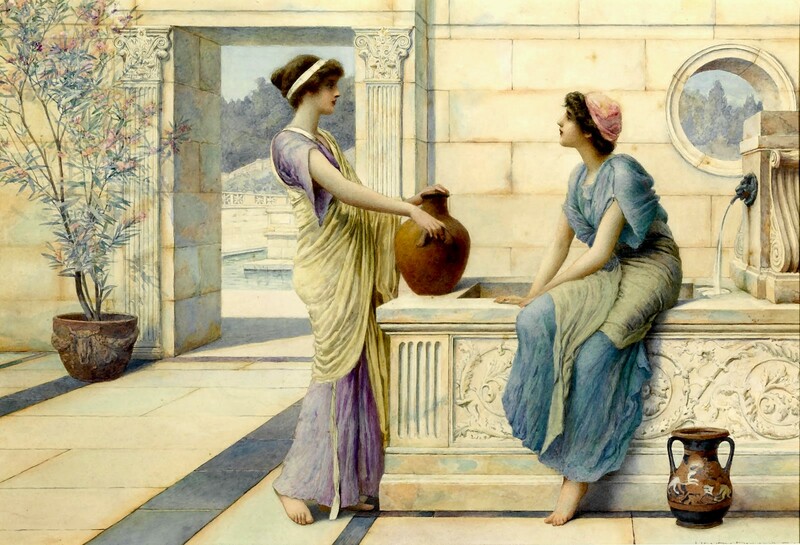 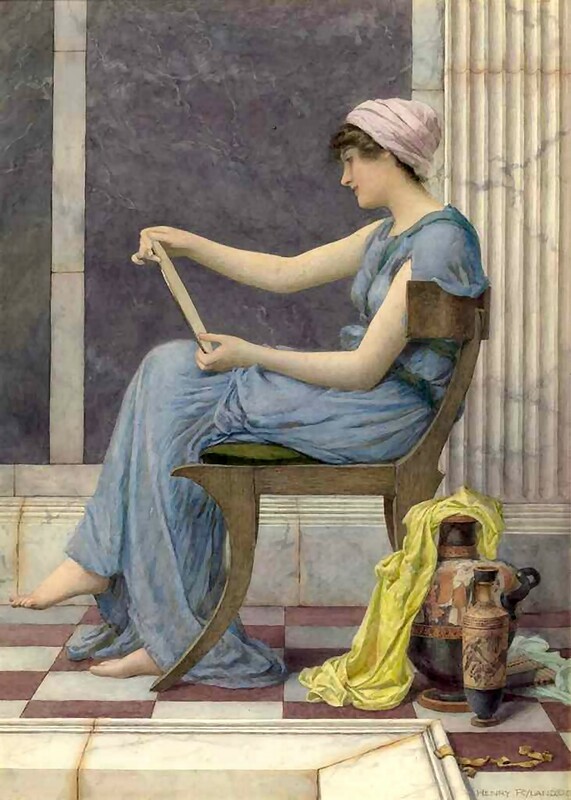 Henry Ryland was born in 1856 and lived till 1924. 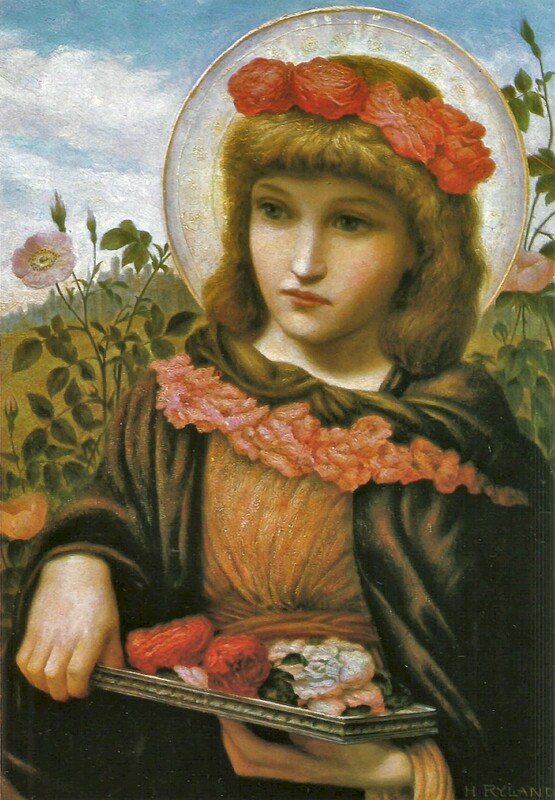 He was a British painter, decorator, book illustrator as well as a designer. 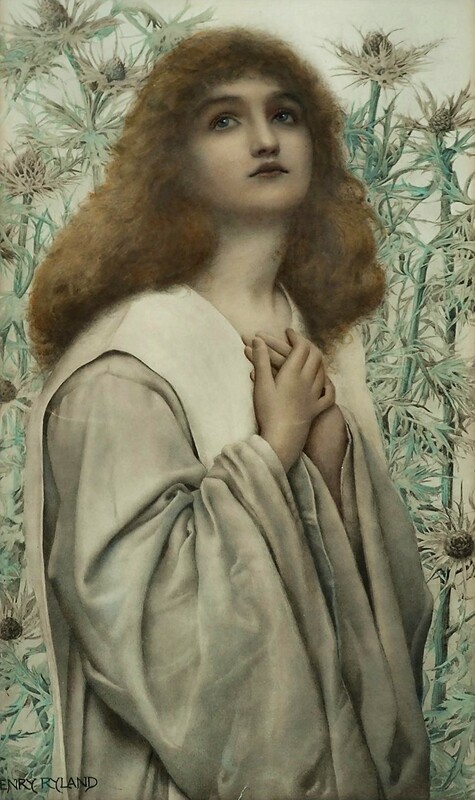 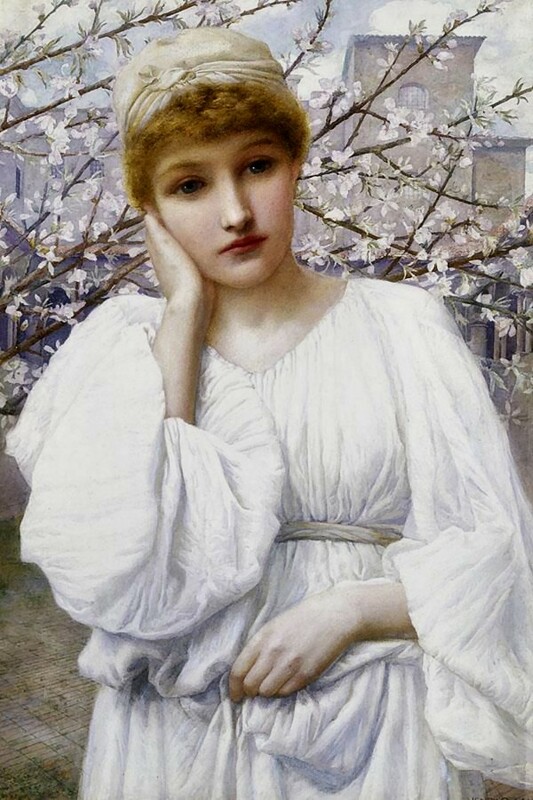 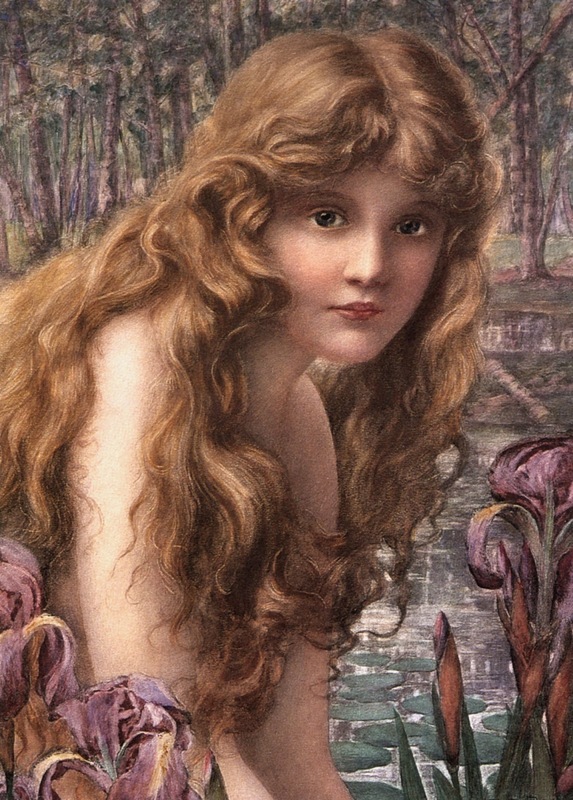 He was a Neo-classical/ Pre-Raphaelite painter who regularly exhibited at the New Gallery and Royal Institute of Painters in Water Colors.